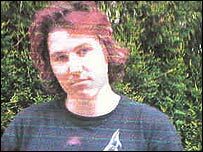 Two teenagers have admitted murdering a youth who suffered multiple injuries while on a camping trip in South Yorkshire in the summer of 2004. A 17-year-old boy and a 16-year-old girl pleaded guilty at Sheffield Crown Court to the murder of Terry Lee Hurst. Mr Hurst's body was found near Broomhead Reservoir, close to the village of Bolderstone, near Sheffield. A third defendant, a 17-year-old boy, has denied the murder charge and will go on trial on Tuesday. The trial judge, Mr Justice Smith, ruled the two who pleaded guilty cannot be named for legal reasons. They will be sentenced at the end of the third defendant's case.